Thank you Mike and Ivy for the nice comment. 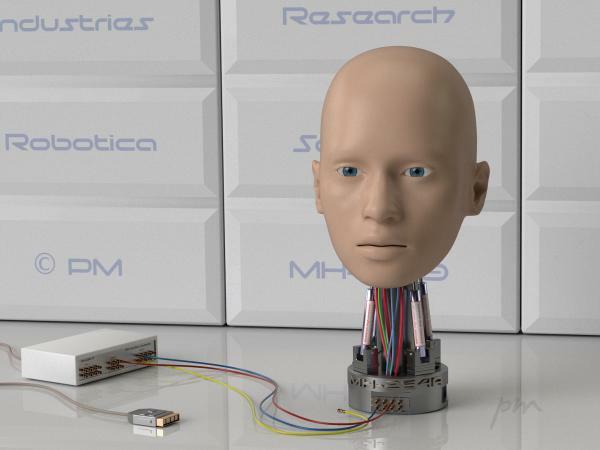 I start with this robot head first as a test model for creating realistic materials for Blender Cycles. Later I build this scene by changing things and add, for this scene created, 3D models (like wall and contoller unit) to it. Now it is also a test set for this robot head.